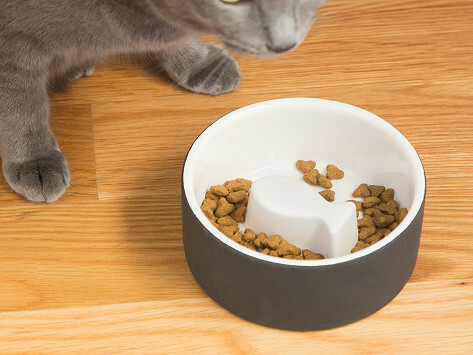 Keep your cat’s food fresh for hours with this clever, ceramic pet bowl. Soak it in water for 60 seconds then the porous surface will absorb it quickly and leave the outside dry and activate the cooling effect. Inside, built-in 3D designs can help promote slower eating, too. As an added aesthetic detail the black, matte exterior doubles as a chalkboard you can write on.